This is a delightful and amusing gift that is suitable to give from newborn onwards. 8 x 19cm. 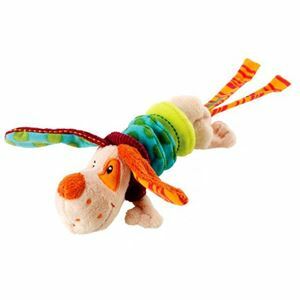 Jeff Dancing dog is a high quality little toy made by Lilliputiens. 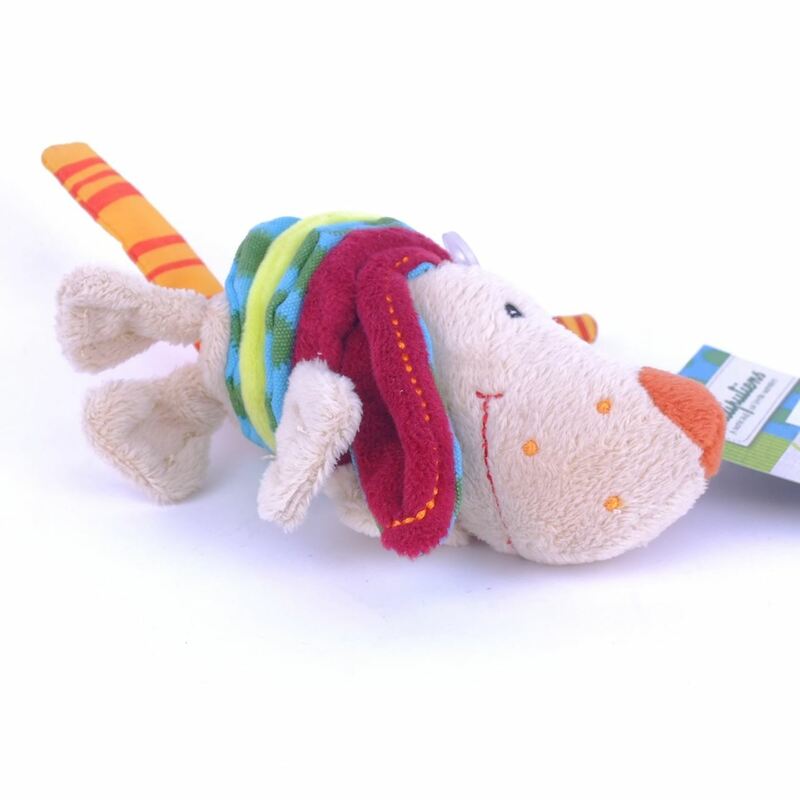 He is gorgeous and colourful, made from safe and soft fabric that little hands will love to hold. Stretch his body and watch and listen to him him vibrate and do a happy little dance.